The twelfth hole is a sharp dog leg to the right and up the hill. The tee shot needing to be hit accurately to allow a sight of the green. 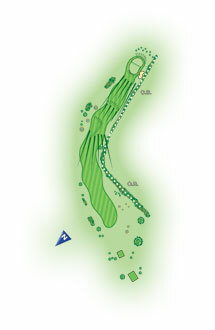 The large green has a back to front slope, so below the pin is the place to be after your second shot.